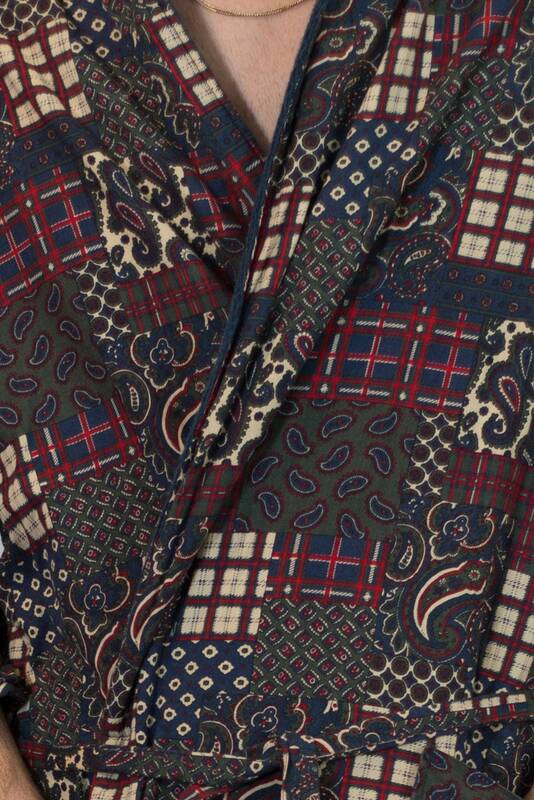 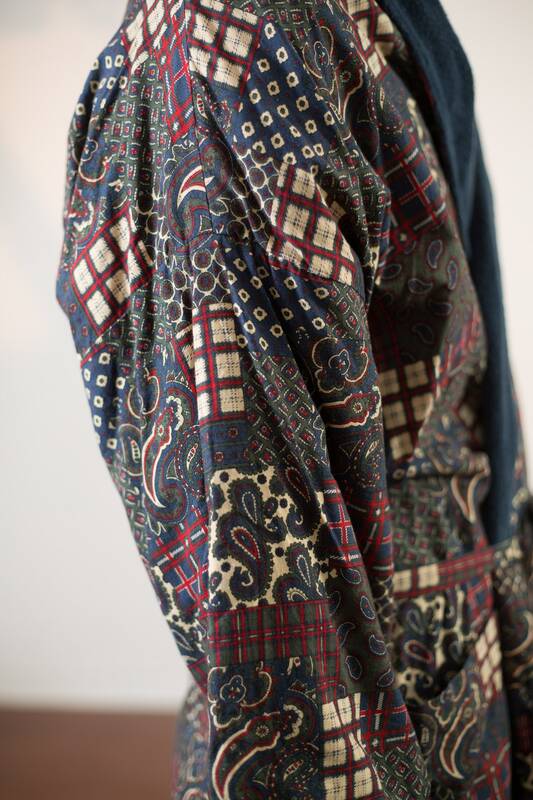 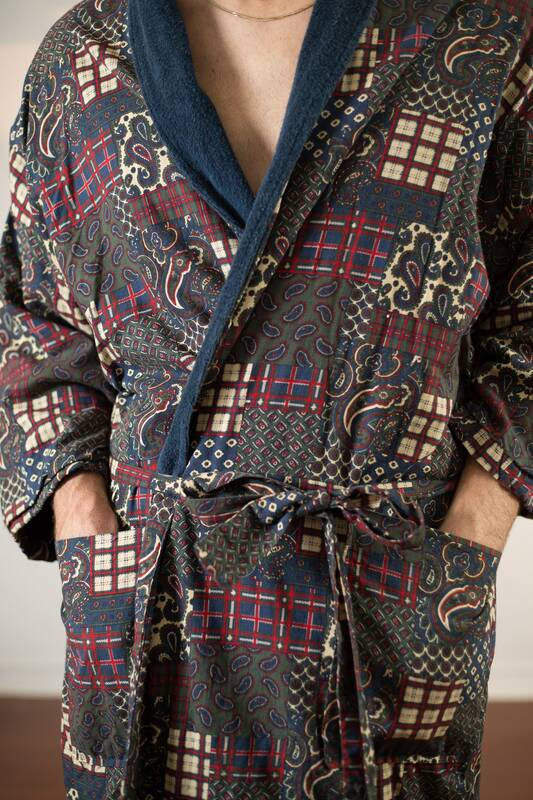 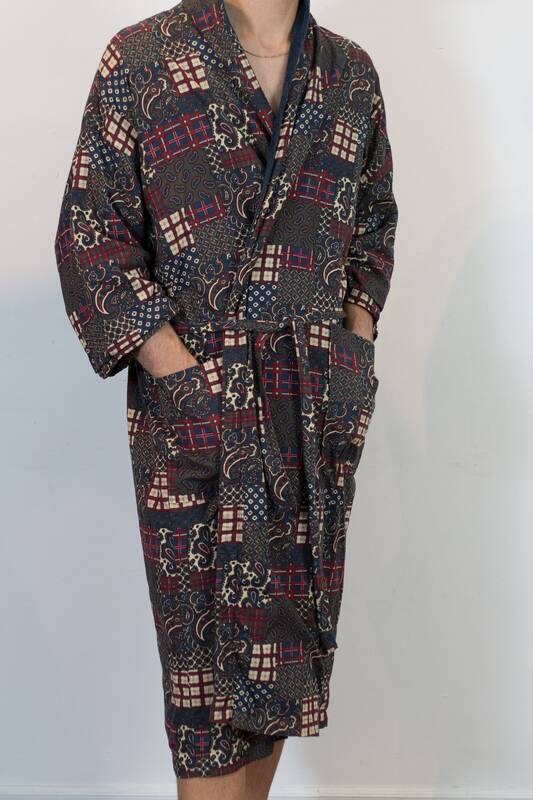 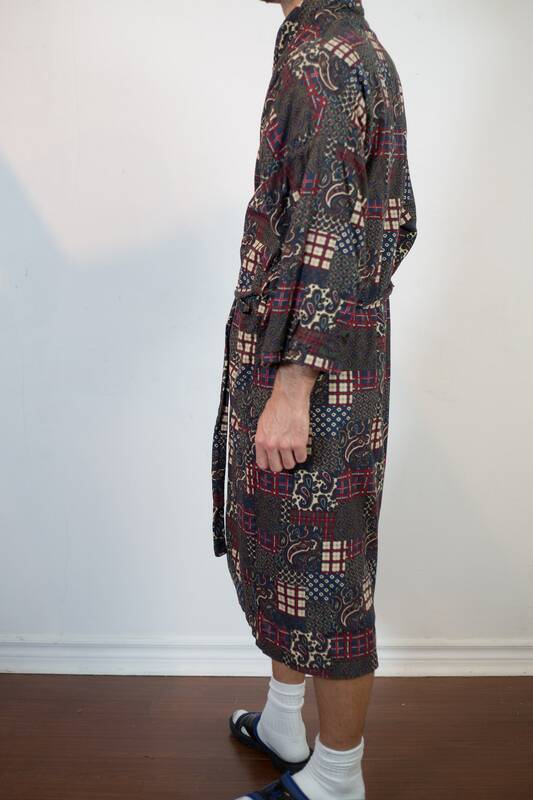 This is a great looking vintage mens robe with a tartan, paisley, and various other patterns throughout. 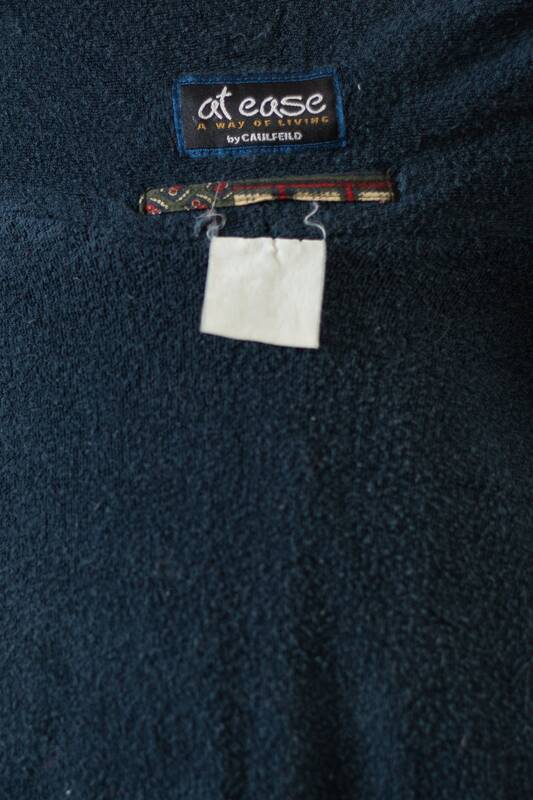 Comes with the original belt. 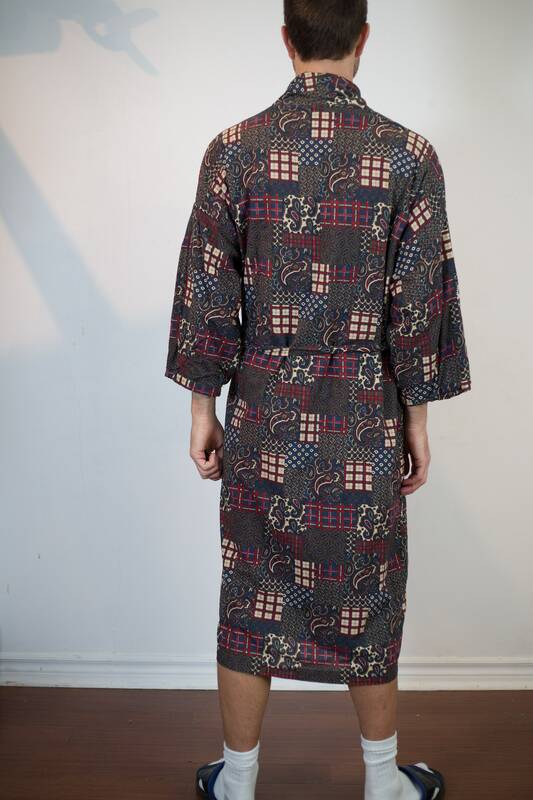 Brand: at ease by Caulfeild. 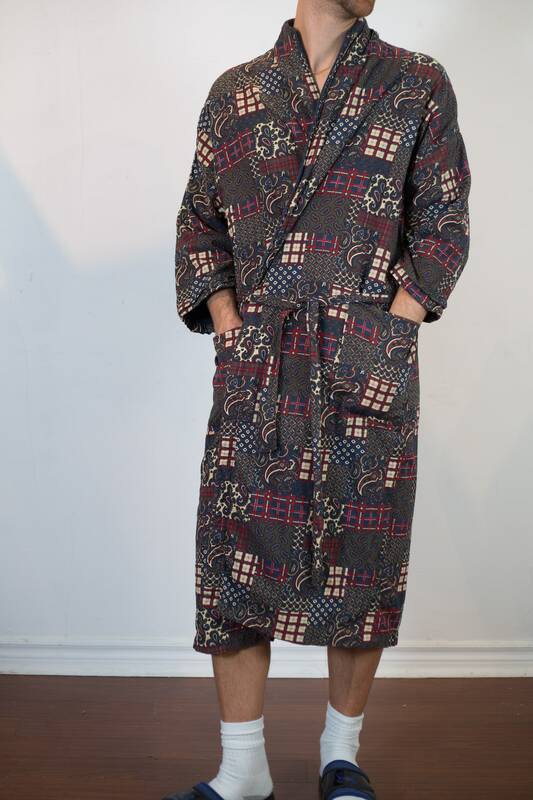 Size: one size (model wears medium, is 5'11).